Have you seen commercials for Z-Coil shoes on TV? We have a store here in Nashville, and I’ve been seeing a lot of commercials for ZCoil on TV lately. I’ve also seen quite a few people wearing these shoes — both here, and in other states. And, I have to say… while they look quite unique, they are intriguing and interesting to say the least. 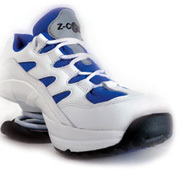 Prior to August 2010, Z-Coil shoes were not sold online or in regular shoe stores. For example, you can’t just take a pair of Z-Coil shoes off the shelf and wear them. Instead, each pair of Z-Coils has up to 32 different adjustments that can be made, and it can take an hour or longer to custom-fit a pair of Z-Coils for an individual. UPDATE: Now you can buy Zcoil shoes through the Z-coil online store. Or, you can Z-coil online storein your area. The patented design of Z-Coil footwear combines a large coil under the heel with a rigid, 3/4-length orthotic. Check out the Z-Blog Reporter — the unofficial blog of Z-Coil footwear. It’s written by a Z-Coil shoe owner (6 pairs). There are lots of fun facts and interesting publicity about Z-Coils. Want to know more about the Z-Coil story?… Here is the inventor, Alvaro Z. Gallegos’s story. * YouTube Video Testimonials — a few dozen videos featuring testimonials from satisfied Z-Coil shoe owners. * Z-Coil Site — official testimonials featured on the Zcoil website. * Europe For Visitors — field testing two pairs of Z-Coil shoes. Most of these Z-Coil dealers started out as Z-Coil customers. And there’s something to be said for a satisfied customer that decides to make it their business. Some of these Z-Coil dealer blogs have not been updated in awhile, but I still like to peruse through the archives to find learn about others’ experiences with Z-Coil shoes. 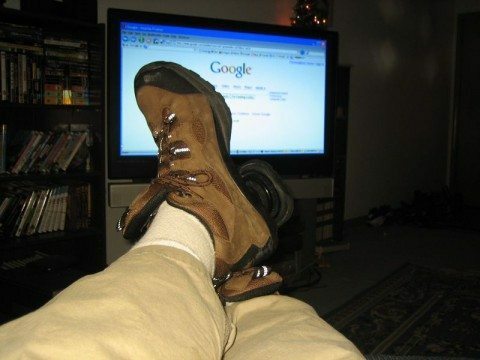 I have to admit… as strange as they look, I’d definitely wear Z-Coil shoes. I’m just not sure I can afford ’em. (They cost about $200 a pair.) I also like that they’re made in the USA. You’re looking at about $200 for running shoes, $220 for dress shoes and $190 for sandals. — O Gizmo! Still have questions? Check out the Z-Coil FAQ.